You actually lose detail when you apply such filters on them, it starts to look cartoony instead of pretty. The reason the backgrounds seem so pixelated in the PC version of the game is because you're running the game at a high resolution, the backgrounds stay the same quality but the models become super crisp. There's an easy fix, lower the resolution to 640x480. Another 'cheap' and easy fix is to apply a greyscale uniform overlay noise layer at a minimum opacity level. OR you can add a noise filter in photoshop/gimp and then fade the noise amt by 50%... AND you can also use less 'noise reduction' in Waifu. The noise reduction actually decimates some colors in order to keep 'anime-style' blending in-tact. This works well for characters and npcs, but not really for field images. And instead of saying: "get to work" say: "hopefully someone can fix". None of us gets forced. Not me, you, Fraggoso, Tirlititi, Mcindus, anyone. I've already done everything you mentioned except, the scaling down of the battle UI's. Oh have you already done all this except the battle scaling, I sent this game as a gift to someone on steam and before that person plays it I want to fix the issues the port suffers from. I've looked around forums for several hours and the only thing I managed to install was the sound dll file which improved the sound a bit. I tried to install all those programs, I managed to install hades workshop but no cheat removal option or icon removal option in that program. I also tried to install memoria but for some reason it didn't work. If you could help out dclem it would be really kind of you. It's very impressive that you've managed to improve upon the game with these mods you've made. Also have they still not patched missing sounds in battle? Is there a fix for that too? Mcindus what's the problem in FFVIII that character models are unable to blink once you apply custom character textures? It seems the same way in FFIX. In FFx i didn't had such problems. I may be releasing an update today that lowers the texture for the field texture so it behave normally. The ref needs to wait sadly (blinking eyes and things as garnet ribbon). I'll need some more people to know if I should remove the card icon showing with NPCs. Anything I do goes with the sound mod. (It's a multi-mod -not including HD backgrounds), which fixes everything (I try too) that everyone points out as a bug. So everything requested goes in queue with the sound mod. Same goes for disabled cheats. The most recent version of Hades Workshop can disable cheats. If by "they" you mean Silicon Studios. Don't hold your breath. They aren't doing anything. Yes it's already fixed. There's a link to it in thread on steam forums: Hades Workshop thread, I believe. It was a while back, though. Nevertheless, it is included with the sound mod. If that one person is truly scaling down the UI's, it would have to be compatible with Hades Workshop, or it won't all work out. The problem is that shrinking the ui is code based and HW doesn't modify the files to that regard. Hopefully albeoris keeps his word and make memoria compatible with HW any time soon. The card and exclamation sprite doesn't bother me at all. Here's a temporary fix for the overworld stuff. Again, I couldn't test that much but at least it worked for me for the parts I saw. And here's the one package for everything texture related. What exactly does your mod do? All I need is a mod that improves the audio, the dll file can do that, and some way to get rid of the cheats and the icons above NPCS. If the latest hades workshop can get rid of the cheats in the menus/F1 F2 F3 I would love to know how that works because I found no such option when I opened up Hades workshop. How exactly do you get rid of the cheats and the icons? Open HW, load the launcher.exe and select your language. Then navigate to CIL Code and below Macro. "Disable Cheats" -> Apply Macro -> Save Steam Mod. Navigate to your FFXI Folder, you should have a new subfolder in there called "HadesWorkshopMod". Copy all folder into your main FFIX install folder and you're good to go. Thank you, sound and cheats fixed. Now it's only the battle UI and ugly chat icons that need to be fixed and the game is as good as the original. Analoge Movement needs to be fixed as well and some bugs needs some community love, too. It's in the CIL Code panel. You need to search for the class "EIcon" in the left-most list, and then "PollCollisionIcon" in the 2nd list. Then remove the eight lines of code described in the above post. It's a bit tricky to change the engine like this, but since Albeoris did a great job for that, I don't plan to make it more convenient. That's the list, an these are the lines I need to remove. I'm looking for this value and I can't seem to find it. Hum... it's 0x6000B43 instead of 0x600091F. Maybe I wrote that post before Silicon's last update. I wouldn't know I don't use steam, i don't want them breaking the game again. Hmm, didn't know you could remove that sprite in the CIL code. I actually don't mind the card sprite being there, it lets me know which NPC wants to play a card game or not. That's okay, I'll wait for the full fix. I've been browsing through all the models. Making sure the engine can be compatible with my higher poly models if a model importer comes. Saw a few high poly models (enemy's and even main characters) good news for me! Hopefully if it does come, it'll have some bone support so that new models imported matches with the bone structure of the original. This is the last part (mostly) till the sound mod is finished. Confused. Was FF9PC released on another online shop as well? I'm not using the steam version of the game, I bought the game for my buddy and I'm using a cracked version of the game to test mods that improve upon the game so in the official version of the game the code might be as you say. However I happen to have access to the official steam version so I'll try your fixes on that version of the game tomorrow. If it does work I'll make a thread with all these fixes in a single folder so people can easily get rid of these problems. That folder would have to be edited in the future to fix the UI for the battle system, then finally the port will be at the same level of quality as the original ps1 game. I dunno, I just play offline. I didn't know there was a cracked version of FF9 PC. Not that I'm interested. Ok I got a problem, I tried removing the lines you said in the cracked version of the game, this one 0x6000B43. And now the game freezes the moment I get close to any NPC. Maybe it's because I'm using the "cracked" version of the game which is some older unpatched version of the game that it doesn't work. Or maybe I made some mistake either way I just need this for the steam version, maybe someone could help me out, open up hades workshop, disable cheats and remove the icons then share the file on here so I could send it to my buddy. If not it's ok but yeah it would be nice since I clearly don't know what I'm doing. Ok I got a problem, I tried removing the lines you said in the cracked version of the game, this one 0x6000B43. And now the game stops working the moment I launch it. Maybe it's because I'm using the "cracked" version of the game which is some older unpatched version of the game that it doesn't work. Or maybe I made some mistake either way I just need this for the steam version, maybe someone could help me out, open up hades workshop, disable cheats and remove the icons then share the file on here so I could send it to my buddy. I don't think someone will be able to help you since you use a cracked version. 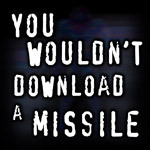 Use your steam version instead. Like I said, the files tirlititi mention are in the updated version. In fact, it is explicitly against the rules to help with, or to ask for help with, cracked copies of the game. You misunderstood me, I need help with the steam version. Removing the icons and cheats, I don't care about the cracked version at all, the reason I'm doing this is for my buddy, not because I'm gonna play the game. You're already helping anyone who is interested in downloading any of your mods, this isn't anything complicated, just a small little edit to remove icons and cheats, the dll file for the sound I already got. Come on anyone, because when I try it, it freezes whenever I approach an NPC. I'm not a programmer. Back up to par again! Ok I tried removing those lines in the steam version and the same thing as with the cracked version, when you approach an NPC the game freezes, the music keeps playing but it freezes and eventually crashes.